National Award winning actor Manoj Bajpayee’s Hindi psychological drama Gali Guliyan (In the Shadows), directed by the fabulous Dipesh Jain, continues its film festival journey in style. 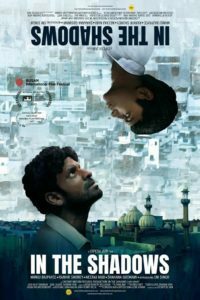 Gali Guliyan, which also stars Ranvir Shorey, Neeraj Kabi and Shahana Goswami along with debutant child actor Om Singh, is a drama about a man trapped within the walls and alleys of Old Delhi and his own mind, who attempts to break free to find a human connection. The film is continuing it’s amazing festival run showcasing the Munich International Film Festival and in July at the Indian Film Festival of Stuttgart. If that was not cool enough, Gali Guliyan is nominated in Munich for the CineVision Award for Debut Filmmakers and at the Indian Film Festival of Stuttgart it is up for three awards: German Star Of India Award, Directors vision Award and the Audience Award. The film has now travelled to more than 18 top International Film Festivals and won audience accolades and awards along the way. In 2017, Gali Guliyan premiered at the Busan International Film Festival, Chicago International Film Festival & Mumbai’s MAMI and, go on to win the Grand Jury award at the latter. It also had screenings at the prestigious 42nd Cleveland International Film Festival, the Indian Film Festival of Los Angles, Atlanta Film Festival and the New York Indian Film Festival, where Manoj’s stellar performance had won him the Best Actor Award. All this perhaps serves as the perfect launchpad for the film to release theatrically in India and worldwide soon. We certainly hope so because we loved the film and you can read our review here. Also do check out our in-depth interview with Dipesh Jain, who, in a fabulous conversation, talked about creating the many-layered Gali Guliyan, the challenges shooting in Old City Delhi, about seeing Manoj Bajpayee become his Khuddoos and so much more! 15 queries in 0.318 seconds.